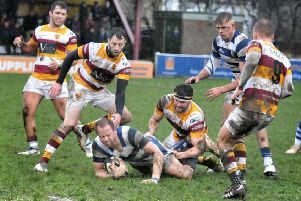 Fylde RFC head coach Warren Spragg was a happy man following his side’s return to winning ways on Saturday. 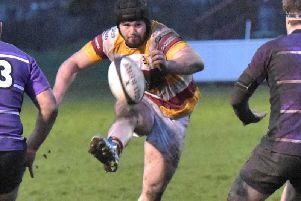 They bounced back from defeat at Sheffield the week before to claim a bonus-point win against Tynedale. Tynedale had put Fylde to the sword back in October in the reverse fixture with a 59-15 hammering and had been on a decent run since with eight wins and five losses. They have pushed all the teams above them close in defeat and soundly beat second-placed Chester 35-5 in the previous fixture. As a result, it was a game that was going to take some winning but Fylde were in no mood to let another outfit complete the league double over them, having succumbed to that outcome at Sheffield last time out. This could have been a very tricky game for Fylde but they produced a mature and solid performance to strangle the life out of Tynedale. Other than the opening try from a chip through, the visitors never really looked like scoring. Going the other way, Tom Carleton, Greg Smith and Connor Wilkinson all touched down with a Smith penalty and a penalty try completing the scoring. Victory, however, was achieved despite some difficult conditions that weren’t exactly conducive to playing running rugby. “I’m glad I was coaching today rather than playing – it was a day for the rugby purist!” Spragg said afterwards. “Tynedale absolutely hammered us at the start of the season. We had our worst game on their ground where everything fell apart. “To be able to go out there today and turn it around by putting in such a good performance, and get maximum points, was excellent. The win means Fylde remain in fourth place in the National Two North table. However, with leaders Hull Ionians losing, Fylde are now only five points behind them with 10 games left. Four of those are at home and six away including trips to Ionians, third-placed Huddersfield and fifth-placed Otley, while they also have to entertain second-placed Chester at home. The league is definitely still up for grabs, and with the next two matches being a trip to bottom team Peterborough before a home game against sixth-placed Hinckley, Fylde will need to take care of those two outings ahead of their trip to Ionians the week after.